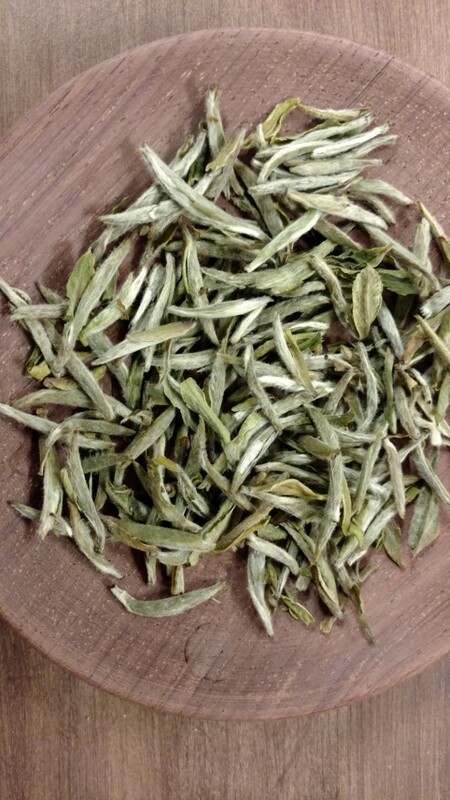 The White Hair Silver Needle is the most revered type among the White Teas, a class of tea known for its lack of artificial processing (tea leaves plucked from the tea plants are left to wither under the sun, dried indoors, and that’s it). The brewed tea has a relaxing fruity sweetness. This tea is very lightly oxidized.